Money Magazine ranks the 50 best small cities in the country, looking for great jobs, strong economies, affordable homes, excellent schools, and much more. 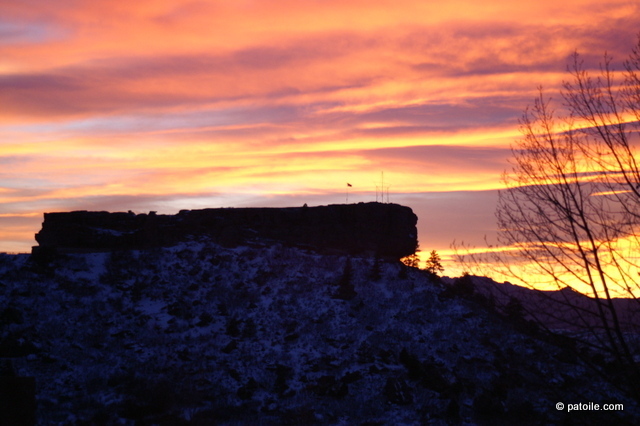 Castle Rock, Colorado hit 4 in the best small cities in America. Castle Rock has come a long way from its quarry-town roots. The city is growing at a rapid clip, with a population that has more than tripled in the past 15 years. Diane McKin-na, now 52, moved here with her husband, Scott, and daugh-ter, Katie, back in 2009. At the time, their home was surrounded by bare lots, and they had to go closer to Denver to run many errands. No more. These days the family has plenty of neighbors, plus in-town options for everything from dog grooming to orthodontists. Now a town center is being constructed in their housing development. “I’m thrilled,” says Diane. Perhaps the biggest recent addition is the Castle Rock Adventist Hospital, which opened a year ago, bringing special-ists and nearly 500 jobs to town. This fall the city will unveil a new indoor athletic complex, taking some pressure off the lone recreation center. And there’s more to come, with plans underway for a new mixed-use development. All the building has created congestion, but residents hope that a new two-mile road and freeway on-ramp will ease traffic when it’s finished in 2016. There are some aspects of Castle Rock that haven’t changed. The downtown remains the heart of the city, lined with locally owned restaurants and spe-cialty stores. The area also hosts community events, including a holiday Starlight-ing festival, when a giant star is lit on the town’s namesake rock formation. The school district here is one of the best in the state, and the two charter schools garner rave reviews from parents. …(Academy Charter School & Aspen View Elementary)… Residents are also pleased by the home prices; a three-bedroom starts around $250,000. Many people commute 19 miles to the Denver Tech Center, but there are businesses in town, and groups like the Castle Rock Economic Gardeners are trying to help small firms grow.